Have you seen the video on the internet where the guy is showing you how to easily peel a potato after you cook it? Well I did and I tried it. Sometimes in life all these tips, hacks, and shortcuts are not worth it. 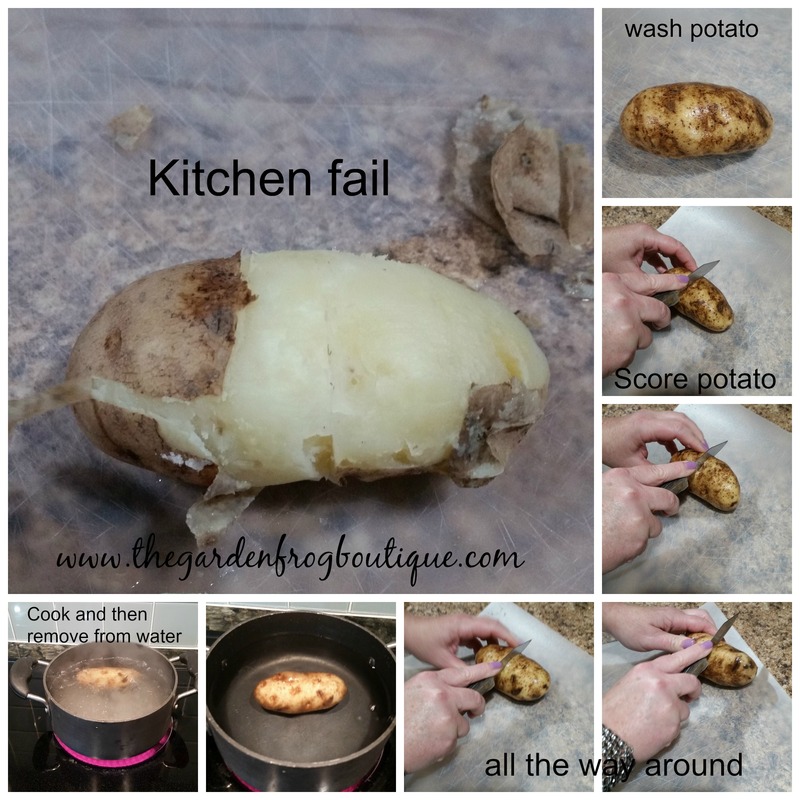 Maybe this fail happened because I did not have a perfect potato. Maybe I did not cook it quite long enough. Whatever I may have done wrong made my life harder not easier by doing this kitchen hack. It is best just easier in the long run to peel the potato the good ol’ fashioned way. If you want to see how much fun (*sarcasm*) check out my youtube video. If you try and it and succeed, AWESOME. but I can tell you that this one for the books of ‘never doing again’. Keep watching for more tips and fails as I see what works and what fails on the internet. Thanks for stopping by and come back again soon! I have done this and it always works. Did you remember to run it under cold water too? I love the new site and especially that I can comment without signing in.